Lazy bones bear named Relakkuma which translates to Relax Bear. He’s often lying down, eating sweets, listening to music. He is very popular in Japan,may be because he makes people feel cozy and a little happy. 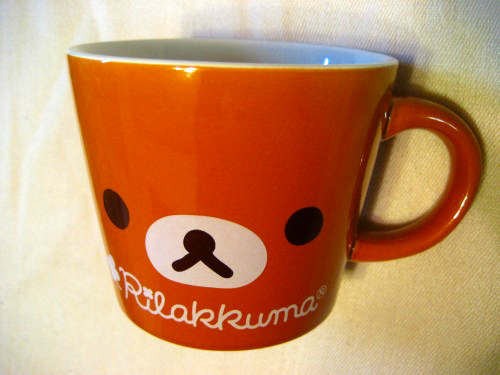 This is my favorite Relakkuma mug. I got this prize by collecting points at “Lawson” a convenience store franchise.